Play now - FREE Download! 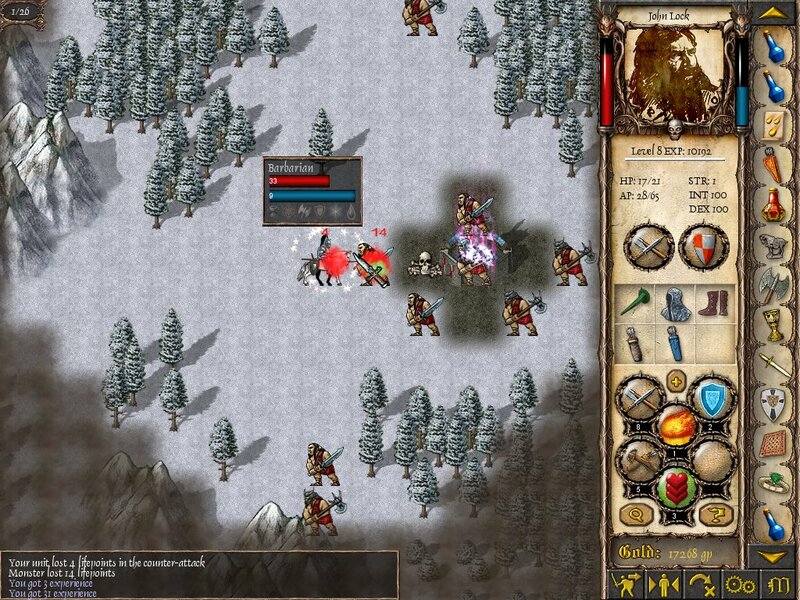 Are you in the mood for some great turn-based strategy? Or a fantasy quest that cuts straight to the tactical combat? Styrateg combines simple yet compelling turn-based strategy with traditional roleplaying-game elements to create an easy-to-learn, fast-playing adventure! Your odyssey begins when you receive a letter from your old friend, Gregorius, now a prior in the western march. Evil is pouring over the border and the kingdom's armies are being overrun. He begs you to defend the kingdom with your unique powers and martial skill. Before long, you will amass a small army of your own to protect the kingdom and strike back at the heart of the invading darkness! Styrateg allows you to play one of several characters with their individual special abilities. 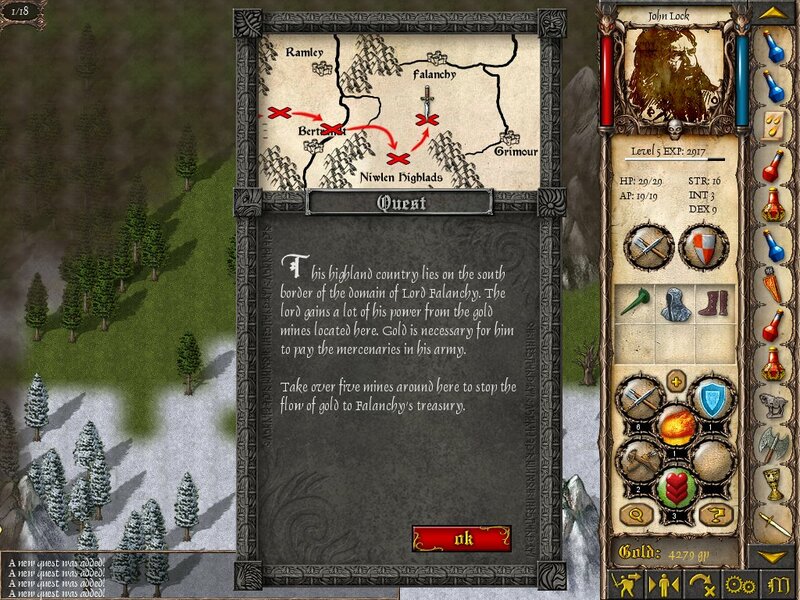 As you undertake several quests your character will gain experience, levels, magical items, and new powers. 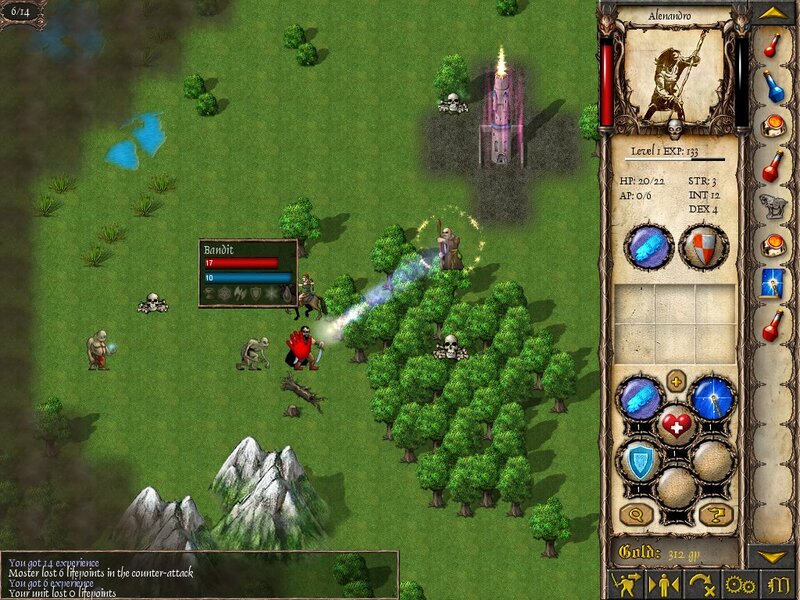 You will also gain new and unusual troops to command as you do battle with ferocious enemy forces. The turn-based gameplay allows you to take your time with your moves, but the pace remains brisk and exciting. Download the free trial tonight and challenge your wits in an epic fantasy adventure! 20 unique levels to explore! Over 40 different enemies to vanquish! Many playable characters with unique powers! System Requirements: Windows 98 or later, 500 mhz CPU or faster, 128+ megs RAM, 3D Graphics card, sound card. Note: Sales are handled through BMT Micro, a secure e-commerce provider.